Hey!!! 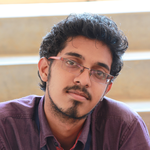 I'm Saravanan who is currently doing B.Tech(IT) at Sastra University. My ultimate aim is to learn and to enhance my programming skill.